So sad I won't be there this year. 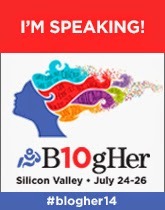 Hopefully I'll get to give you a hug at BlogHer 2015! I wish I could be there. I say this every year, and I mean it each time. This is really good advice, A, and I know that anyone who meets you, would consider you the friendly face they're so glad they saw (and hugged). Well, now I really wish I were going. It is hard to imagine you having these fears/feelings--but I've come to suspect that almost all bloggers lean heavily toward introversion. Hope you have a fabulous time! You wrote this for me, didn't you. You can feel I'm flipping out, can't you. because to me, you're one of the blogging goddesses. I guess you're just like 'US!" 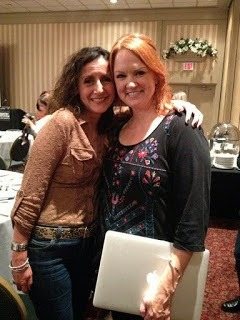 Someday .... it's on my writers bucket list for sure, if only to have coffee with you! It's an amazing time. The first time is just a baptism and I've never paste anything on there besides just a necessary rite. People won't recognize you, your feelings may be hurt, your real name may not be known, your name tag may be hidden or flipped backwards. TAKE NOTHING PERSONALLY. Go, meet, enjoy, laugh, and be among those that derive the same joy from the internet as you do. Shared interests, it's a lot of fun. What do you do to find break time? This year, I'll need to find time to check on my kid and my friend/babysitter, eat, meet people, and BE ALONE for a few minutes. Tips? I never talk to enough people at conferences - I KNOW this. I get so excited about meeting people, then I see them and freeze. And I come across as stuck up and snobby because I don't readily approach anyone. I need extrovert wingmen.